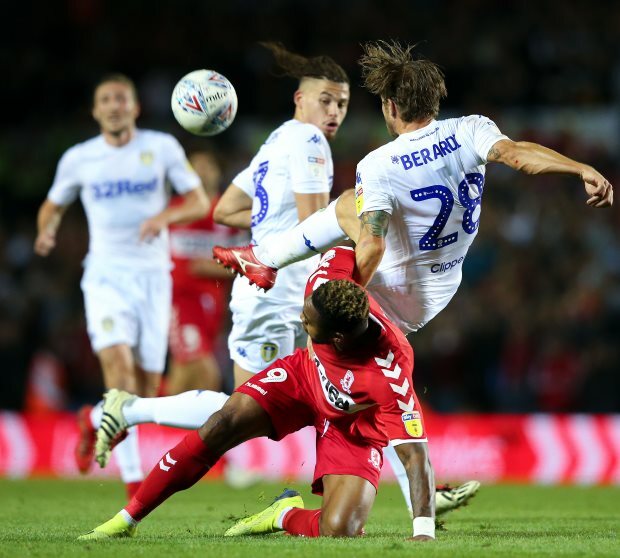 Marcelo Bielsa has paid tribute to Gaetano Berardi, who stepped in for Leeds United at short notice in the 1-0 win over Sheffield Wednesday. Bielsa picked Liam Cooper in the centre of defence alongside Pontus Jansson, but the centre-back was forced to pull up in the warm-up. Berardi, whose season has been interrupted by injury, slotted in at short notice and clocked all 90 minutes in the crucial win over the Owls. And Bielsa was pleased with what he saw from the Italian, who he regards as a player who can be trusted to deliver on the pitch. "It was uncomfortable to lose Cooper", Bielsa said in his post-match press conference. "Berardi adapted to the game very fast and he is a stable player you can trust. "I am very happy for him. "He deserved this situation as an important player." Berardi could find himself in line for another start on Friday, when Leeds play Wigan, if Cooper cannot recover from his injury in time. The 30-year-old has made eleven appearances in the Championship for Leeds so far this season and is under contract at the Elland Road club until the summer of 2020.